Η Vilner επιστρέφει για να μας δείξει τη νέα της δημιουργία. Ένα εκπληκτικό εσωτερικό που ετοίμασε για μια Maserati GranTurismo. Σε αυτό έχει τοποθετήσει μαύρες και κόκκινες δερμάτινες/alcantara επενδύσεις με κόκκινες ραφές, με το λογότυπο της εταιρίας να είναι ραμμένο στα προσκέφαλα. Υπάρχουν επίσης μαύρα γυαλιστερά διακοσμητικά, κόκκινες ζώνες ασφαλείας και νέα πατάκια στα ίδια χρώματα με το υπόλοιπο εσωτερικό. Maserati GranTurismo by Vilner. 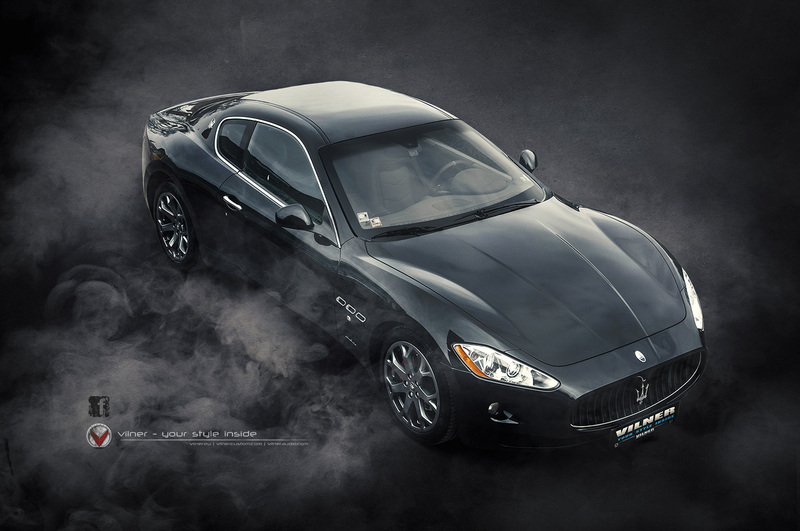 Beauty for the gods GranTurismo is not an ordinary machine. It’s an event. For this car, it could be said that “it looks as good as it sounds” – a statement to be considered an axiom. Deep, naturally aspirated V8 rumble makes promises from distance. Promises that are all met when you finally see the sweet elegance of that body. 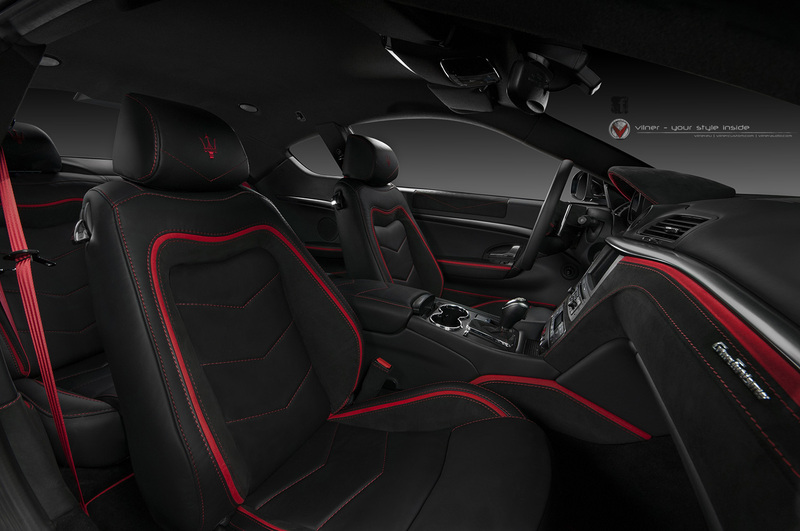 You can trace the model name back to 1947 and the A6 GT, which is the first road car made by Maserati. Nowadays, machines like the GranTurismo continue to make us feel nothing but happy. The happiness of the owner of this elegant black 2007 Maserati GranTurismo was almost complete. 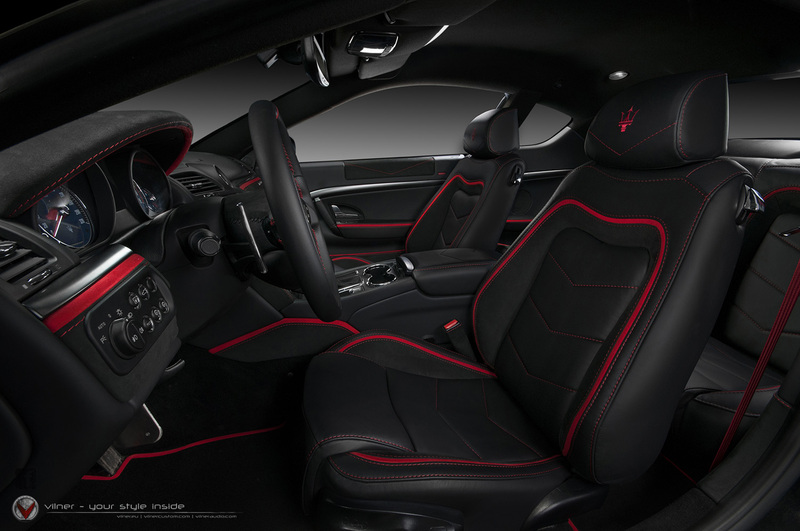 The reason for “almost” was the original interior, which had been executed exclusively in red leather. True, it contrasts well with the black metal, but it is a very obvious choice which is definitely too mainstream. Maserati is not a conventional luxury machine but a car, which deserves special treatment and unique individuality. And this is something that Art Studio Vilner is famous for and happy to apply on the GT. Once a dominant color, now red can be seen as fine Alcantara stripes accents. Contrast passion stitching and the Neptune’s tridents, embroidered in the headrests, add to the exclusivity of the cabin. Seat belts are also set in red, contrasting beautifully with a dashboard covered in noble black Alcantara. And the crossing red stripe reminds of the pure emotion embodied in this coupe. GranTourismo is arguably one of the best-looking GT coupes on the market today. A car that – after Vilner’s refinement – deserves the approval of Neptune himself.